Email marketing is one of the traditional forms of digital marketing that has been around since the world woke up to the phenomenon called the internet. You want to reach out to your audience and customers digitally and you do it by sending them an email. But in this current digital age of multichannel engagement and evolved customers, there are a few things a marketer must factor into his strategy. Mobile use has overtaken the mighty desktop. Consuming email on the go is quite the norm these days. According to a study by Litmus, the email analytics providers, of 250 million emails, as much as 53% of email opens happen on mobile devices – cell phones and tablets. Designing emails that are optimized for mobiles is no longer just an option – it is now essential. A necessity. Most mobile email clients just scale the emails down to fit the screens of smaller devices. These messages are hard to read and in all likelihood, ignored. When it is an email newsletter, the results are disastrous. 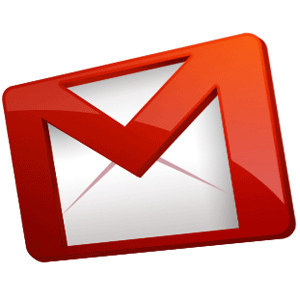 According to a study, if an email did not display properly, about 70 percent of readers will just delete it. So does a marketer handle this? The first thing to do, is to have a mobile strategy. To create content that can be comfortably consumed by mobile users – content that will be just as attractive and compelling as they are on a huge desktop screen. Using the responsive design is one way to do this. Adaptive mode is another. Make sure that subject lines grab the attention of your customers and make them want to open it to know more. Make sure that any action buttons are easy to tap on. Today’s customer is evolved. He is not about to fall for any kind of general mass-mailer. He would be interested only in something that would offer him some kind of value. It needs to pique his interest. Maybe a change in format can help – visual content is big. Throw in some videos. But it should be about something that the customer would be interested in. The marketer has access to all kinds of data about his customers. And it is up to him to use this information to his advantage and engage with his customers in a much more meaningful manner. Marketing Automation does a lot more than just automate the process of email marketing. It makes it easy for a business to engage with and communicate with its customers by helping them send highly personalized targeted messages to them. The software even helps a business gather data about its customers which will be useful in sending customized communication to them – making relevant offers, etc. Marketing Automation tools don’t come very cheap but they are worth investing in. With the right modelling and strategy, there is a lot to be gained from this. It saves time and effort and is the most effective way to send relevant messages to the right customers at the right time. Statistics show that such automated emails have higher open and click rates. A simple example of this would be sending a welcome mail to anyone opening a bank account. In today’s marketplace, personalization is huge. Sending a common mass mailer to all your customers – old and new – won’t work. Even if you manage to address the email to your customer by his first name. This can only have negative and rather disastrous consequences for you. Thanks to several tools, it is possible to gather plenty of information about each customer. It is possible to find out what an individual’s tastes and preferences are. You can find out what he is interested in. And when an email is personalized based on all of this, then it would grab his attention immediately. But personalization is tricky – a little too much and all kinds of alarm bells would go off and the customer is wary at least – rather than pleased.